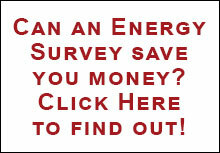 Saved energy dollars can be used for other purposes, such as community service, education, and ministry. A dollar not paid to a utility is just as valuable as a dollar in a collection plate, dollar of endowment interest, or funds raised from a capital campaign. The purpose of this booklet is to guide congregations toward lower energy bills. There are other important reasons to use less energy besides just saving money, which is reason enough for most congregations with limited resources. Some congregations want to practice good stewardship of natural resources. Others are concerned about protecting the environment from global warming and acid rain [Fig 1]. Congregations can lower energy costs in three ways: 1) by purchasing less expensive energy, 2) by conserving energy (turning things down or off) and 3) by improving the efficiency of systems that use energy. Purchasing least-cost energy always makes sense. Turning things off when they are not being used almost always makes sense. Often this is done manually, but sometimes it requires the installation of switches and/ or sensors. Improving the efficiency of systems, however, usually requires purchasing new equipment or paying a contractor to make adjustments to existing systems. Such investments should be made with caution because it is easy to make inappropriate purchases and investments. Every building and its enclosed spaces have two conditions: they are either being used or they are unoccupied. Houses and apartments may be used constantly. The lights may be lit for many hours and the temperature consistently maintained at comfortable levels. Under these circumstances, improvements in efficiency can be a good investment because the building and equipment are used for extended periods, sometimes constantly. Houses of worship, on the other hand, are used intermittently. Consider a house of worship with offices, a day care center, and rooms for evening meetings [Fig 2]. While this building seems to be used heavily, it is typically unoccupied two-thirds of the time. This dramatically changes the circumstances for managing energy. Conserving energy by turning things down or off, is usually more worthwhile than improving efficiency. Often, this contradicts our instincts. For example, since there are far more residences than houses of worship, the energy conservation market is monopolized by advertising for insulation and energy-efficient Windows. These are often good investments for buildings that are occupied all the time. When congregations apply residential technology to a house of worship, they are likely to make a poor investment. The function of insulation and secondary window glazing is to either ….